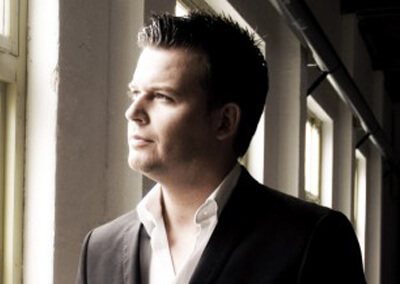 Born in The Hague, in The Netherlands, Mike Peterson started his singing career at the age of 11, not knowing then that he would grow up to be an all-round entertainer with a voice, that best is described in one word: powerfull! After several years of working as a background singer for several artists in Europe, Mike started solo, singing songs in a Pop/Dance style and found that this music gave him the most pleasure. In the last period of 2001 he started writing his own songs. After three months his talent was discovered by a famous producing company named Dub Foundation. This successful company, responsible for the top hits of DJ Marc van Dale and others, were very impressed by the vocal capabilities of Mike. They recorded several songs with Mike in their studios. January 2002, Mike Peterson started off with his new and improved spectacular live show supported by two beautiful female dancers. His voice, good looks and repertoire, consisting of dance covers and, of course, his own songs make people of all ages dance. During The Golden Stag Festival 2002 in Brasov, Rumania, Mike becomes the most popular performer of this festival, according to the public (42% of the votes). He also accomplished second in the overall contest. Due to this festival, Mike’s popularity in Europe is growing day by day and as a result Mike will start recording songs in Rumania. In October 2002 he released his single “Show Me Your Love”, which entered the Dutch top 100 at # 49. After different projects Mike has recorded the album Swing . This album was released towards the end of 2005. It contains many songs from the Swing Era and solidified Mike´s vocation as all-round entertainer. June 2007 his new single has been released called Could This Really Happen produced by Peter Andre’s production team. 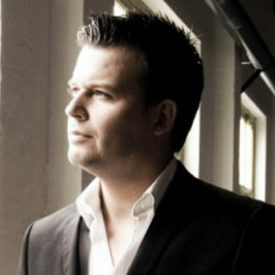 End 2007 Mike released his first single in the Dutch language. Although it was a reasonable succes, his main language to sing is English. At the end of Februar in 2008, at the Golden Stag Festival, he won again, but now as best artists ever on the festival, which gives him again lots of credits in Romania and the surrounding countries. At the moment he is working on a new single.